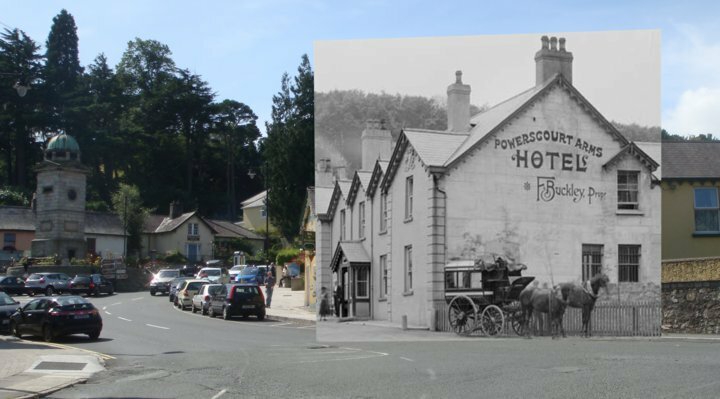 The Powerscourt Arms Hotel then and now (2008). The Hotel has had a few names over its long history, but has been the Powerscourt Arms since at least the turn of the century. In the 19th century, I think it was also called the Leicester Arms (one of the Lord Powerscourt's married the Duke/Lord Leicester's daughter) and on an undated map it is marked as Miller's Hotel (there was a mill nearby that was a ruin by the middle of the century). 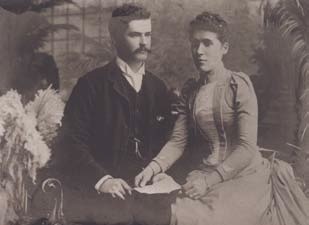 Source: National Library by Michael Seery — with Bríonain Ní Bheacháin. The town clock in Enniskerry Village. It is built on a shamrock platform. 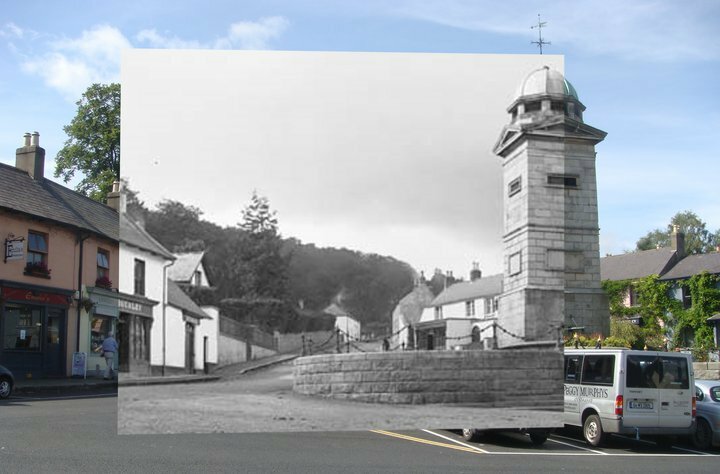 The building to the left and right were built in the early 1800's by Powerscourt, who developed the village at the time from what was reportedly a fairly miserable place.